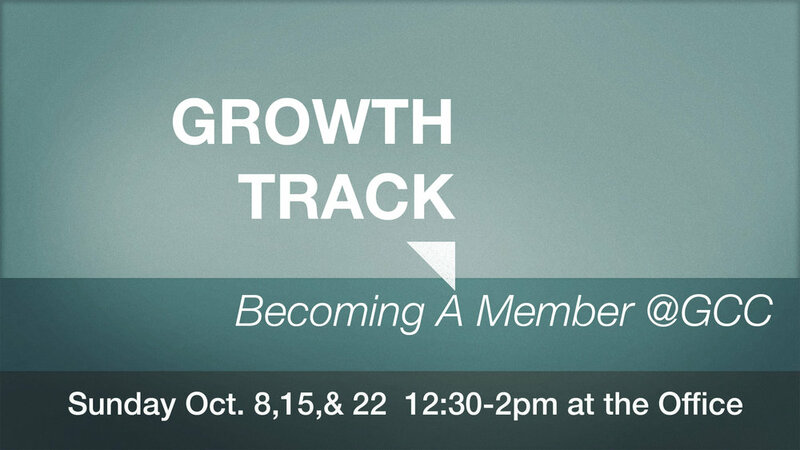 The GCC Growth Track helps guide you to discover your redemptive purpose and live the life God created for you. The Growth Track takes place over four weeks that will then help equip you to connect to the church, follow Jesus, discover your purpose, and serve others. The completion of the GCC Growth Track also allows the participant to become a member of Gold Country Church. Being a member represents what it means to commit to a body of believers for the the good of the church, the glory of God, and the member themselves.